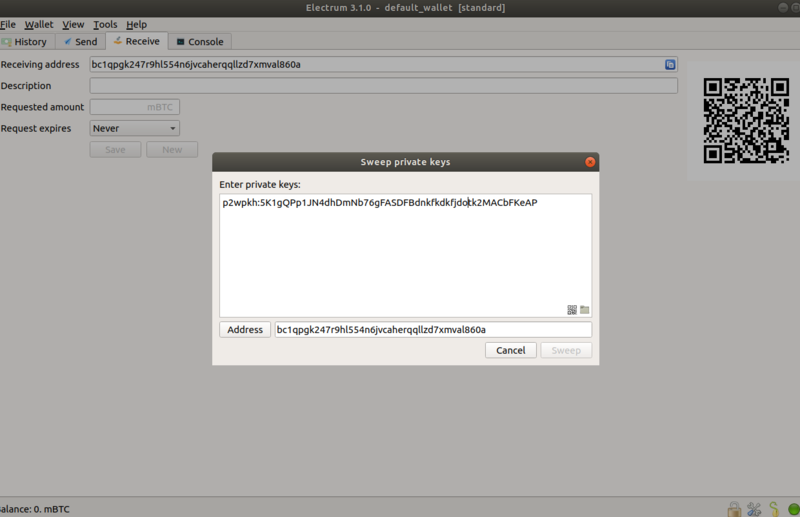 How do I go about sweeping funds from the bc1... address if electrum 3.0.5 sees the legacy format address instead? Not the answer you're looking for? Browse other questions tagged private-key electrum segregated-witness address-generation bitcoinjs or ask your own question. Can I use same WIF/privkey to make myself a segwit address?